Mardi was born and raised in the City of Roses and has a keen appreciation for its vibrant and unique neighborhoods. She has 20 plus years of real estate experience marketing properties and assisting buyers. She is a stickler for details with a background in event planning and catering management. Her skills include extreme organization, excellent relationships with co-workers, always having a “Plan B”, and a sense of humor that make it all seem effortless. Currently a resident of inner NE, Mardi raised her family in the Sellwood and Garthwick neighborhoods. 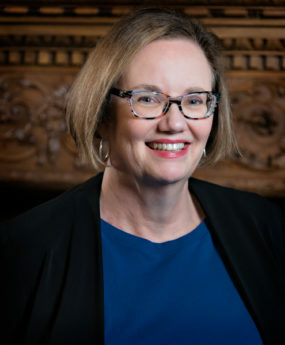 She is a former member of LaSalle College Preparatory High School Board of Trustees, Past President of the Arc of Multnomah Clackamas and is an advocate for individuals with developmental disabilities.